A banner hung by Wildcats for Israel and Tannenbaum Chabad House was torn in half near The Arch. The banner was allegedly vandalized Tuesday evening. A banner hung near The Arch by Wildcats for Israel and the Tannebaum Chabad House was allegedly vandalized Tuesday evening. The banner was hung for Martin Luther King Jr. Day and found torn in half on Wednesday. The banner quoted a statement by King expressing support for Israel. Weinberg junior Jonathan Kamel, co-president of Wildcats for Israel, said the banner was hung up Monday night and he learned of the alleged vandalism Wednesday morning. Kamel said the organizations made a reservation to display the banner before Winter Break. He said another Wildcats for Israel member, Communication senior Joey Becker, filed reports with Student Conduct & Conflict Resolution and RespectNU. University Police Deputy Chief Dan McAleer said a report about the incident was not filed with the department. Kamel said the groups would like to create a new banner and hang it somewhere else. Kamel said several NU administors are aware of the incident. He plans to reach out to Norris University Center to get the reservation for the banner extended. 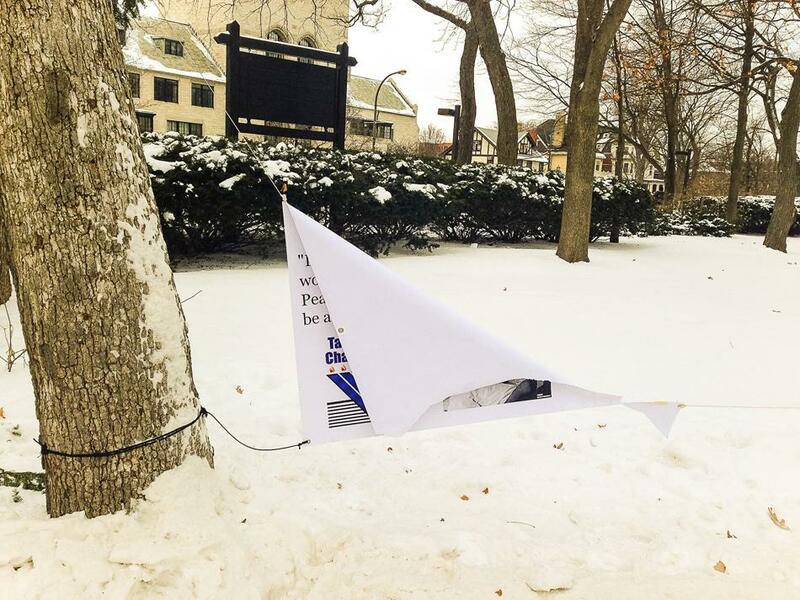 The area near The Arch was the site of another alleged vandalism in November, when a banner hung by Students for Justice in Palestine was taken down.